Question 1-5: Answer the questions. 1.Why does the student go to the career services office? 2.Why does the student think that companies’ representatives would not be interested in talking to him? He will not be graduating this year. He is not currently taking business classes. He has not declared a major yet. He does not have a current résumé. 3.What does the woman imply about the small print on the career fair posters and flyers? The information in the small print was incomplete. The print was smaller than she expected it to be. The information the small print contains will be updated. The information in the small print will be presented in a more noticeable way. 4.What does the woman say is a good way for the student to prepare for speaking to companies’ representatives? Choose 2 answers. Directions: Listen to Track 44. Question 6-11: Answer the questions. 6.What is the main purpose of the talk? 7.What is the professor’s opinion about the dot-com crash? She thinks that people should have realized it would happen. She does not believe that anything like it will happen again. She is surprised that it did not have more serious consequences. She is confident that people learned a valuable lesson from it. 8.According to the professor, where did tulips originate? 9.Why does the professor mention a merchant who ate tulip bulbs? 10.What were some of the factors that contributed to the tulip craze in the Netherlands in the seventeenth century? Choose 3 answers. Wealthy gardeners liked to compete for rare plants. The number of people with disposable income was growing. Tulip bulbs were initially cheap and easy to obtain. Tulips in the wild bloomed in unusual color combinations. The tulip market was not regulated by the government. The professor mentions the practice of trading promissory notes in the Netherlands in the 1630s. 11.What does this practice explain? Choose 2 answers. Directions: Listen to Track 45. Do you think that there is nothing young people can teach older people? 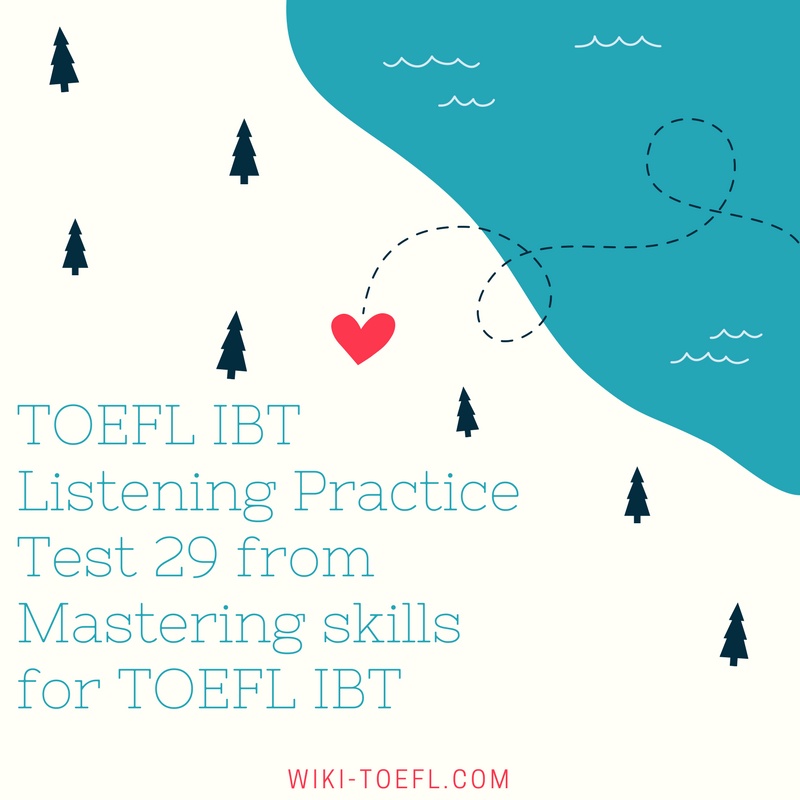 Toefl writing: Do you think parents are the best teachers? Hey please mail me the answer keys of reading and listening section as soon as possible because i have test within two days.